Last week at Signal was the latest installment of our biannual Hack Week, this one dubbed “A Hack of Ice and Fire.” As you know if you’re a regular reader of this blog, Hack Week is an important part of our culture at Signal. The reasons for the week are many: The team gets to work on a wide range projects of their own design to make Signal even better. It’s also a lot of fun—we get a chance to work with new people, and hit refresh before a new season of development work begins. This was the first Hack Week in our new offices at 111 N. Canal, and groups fanned out across the space to prototype new ideas and solutions. 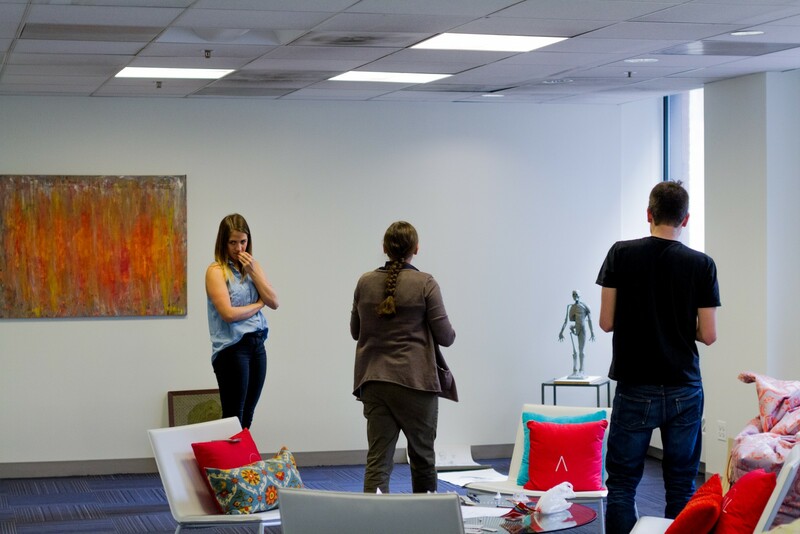 One group of crafty hackers even set up an art gallery, featuring work by our colleagues. As always, we had a number of engaging and inspiring guest speakers. This week’s lineup included Jean Tomaro of Hogsalt, Erik Van Horn of Magic, the Gathering, Seyi Fabode of Clean Energy Trust, and Derek Eder of DataMade on civic hacking in Chicago. Signalites were fueled by lunch from some Chicago favorites, including Parson’s Chicken and Fish, Bridgeport Pasty, Blackwood BBQ, and J.P. Graziano’s. 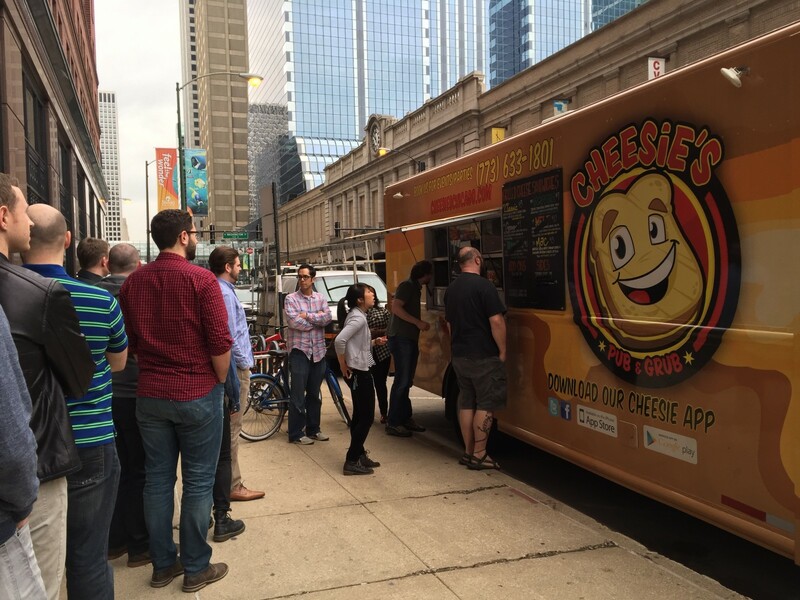 Cheesie’s even pulled their food truck outside our offices, fortifying hungry Signalities with grilled cheese sandwiches. It’s time for a new development season—and now we’ve got some new tools to make our lives and work easier, and more fun.